Eating local in Hong Kong is a rather hard thing to do. 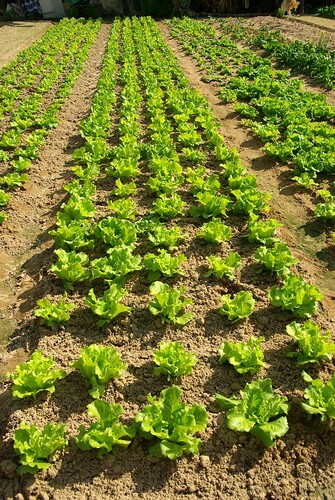 The most local food usually gets are fruits and vegetable from over the border in China’s Guangdong province. 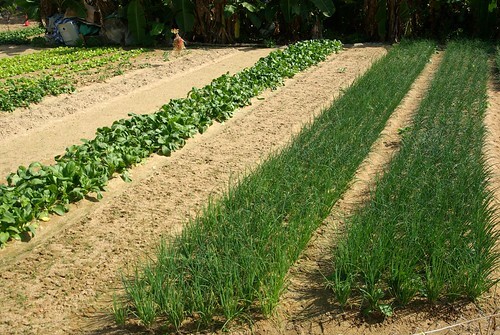 However, if you are living in the “countryside”, like on Lamma Island, chances are that you might be finding a small farm next to where you are living. 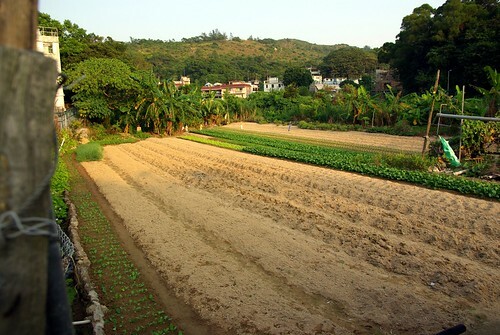 This is what I discovered when my friend who has been living on Lamma for some time took me to this small chunk of land, in the small valley at the entrance of Tai Peng village, cultivated by an man maybe in his 60s. With his peasant hat, tool in hand, he seems to be straight out of some old movie, growing his vegetables on this island that is better known for its seafood, great outdoors and hippie culture. 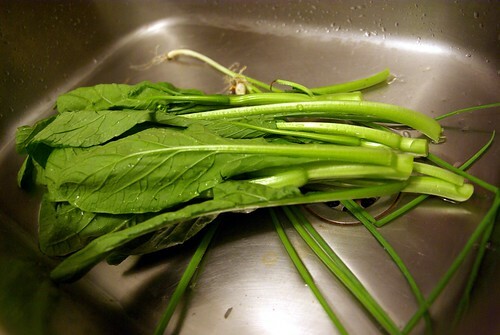 For one HKD (13 Canadian cents), you can get about three branches of choy sum (菜心), with gigantic leaves. For the same price, you can also get more than enough of green onions (蔥), for what would cost 2-3 times more in Lamma’s grocery stores, and 4-5 times more in my hometown in Canada. 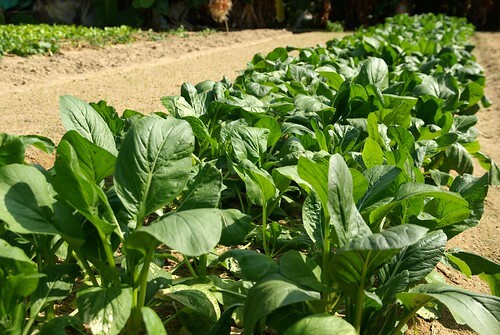 The next day, I came back for some yeen choy (莧菜), a kind of Chinese spinach with red pigmentation on its leaves also called Amaranth, a lad tougher than the regular kind of spinach. A portion for that evening’s dinner cost me two HKD (about 25 Canadian cents). They were delicious, fried with garlic and salt. Previous Previous post: Carey Price aux nouvelles sportives sur TVB Pearl !